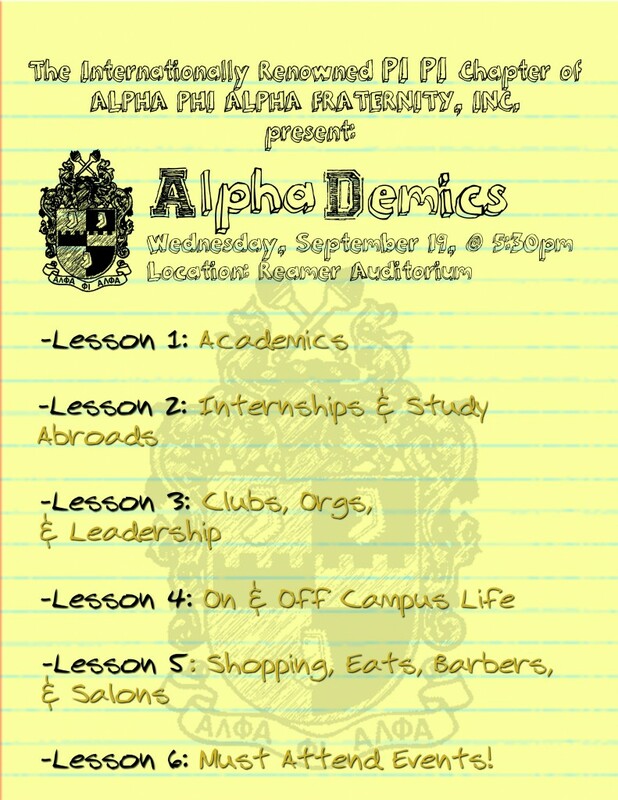 The Brothers of the Pi Pi Chapter of Alpha Phi Alpha Fraternity invite you to ALPHAdemics! In this event we will be informing you of academic opportunities on campus, and things to do in the local area in hopes of acclimating U to Union College. In addition our student panel will be sharing their experiences, and willing to answer any questions you may have.